In April 2016, Sears Holdings announced that it would be hosting Going Out of Business Sales in an additional 68 of its Kmart retail stores, This was in addition to 10 more Sears final store closings that were scheduled to be completed by the end of July, and the dozens of Sears and Kmart final store closing sales that had barely been completed when the second wave of the 2016 store closings tsunami was announced. Even though both retail experts and Sears Holdings investors have been encouraging Sears leaders to close more stores and to do it faster, one question remains: Will Sears Holdings be able to reclaim its profitability after all the store closings and real estate holdings liquidations planned for 2016 have been completed? Hopefully, Sears and Kmart leaders have done the math prior to the final balancing of the cash registers on the final store closing days. But Sears and Kmart leaders have proven themselves to be secretive, and don't easily reveal the whole truth about what's going on inside of the publicly traded retail company. As one of the oldest U.S. retail chains still in business, transparency is not really "a thing." 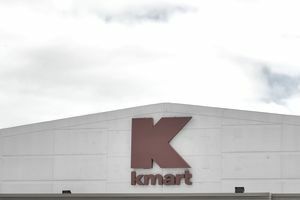 What follows is a complete list of Kmart retail store locations that were earmarked for final closings in the 2016 calendar year. The Kmart store closing locations announced in April 2016 are signified with bold lettering. The final going out of business sale dates are "late July"2016 for all the Kmart store locations below, except where indicated. Final Going Out of Business Sale Date: "mid-March."